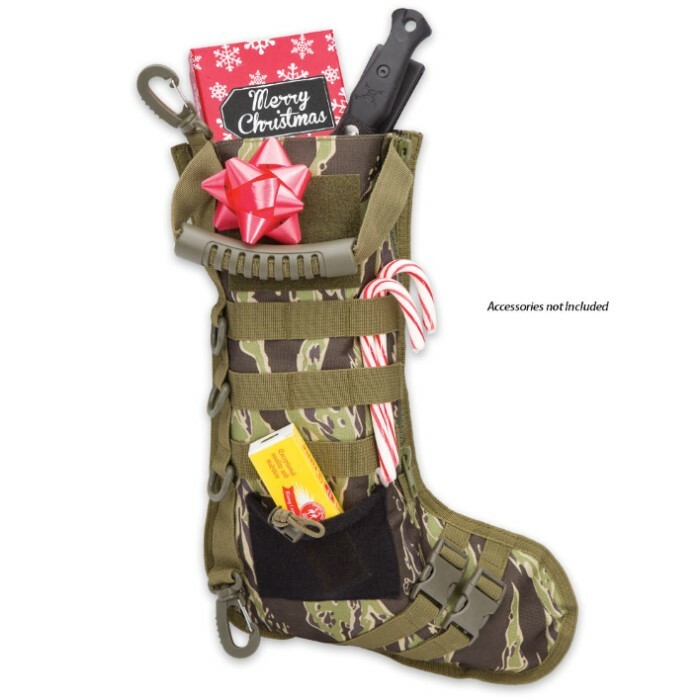 Show Santa Claus that you're ready for anything with this M48 Tactical Military Stocking in Zebra Camo. If you need to, you can just grab it by its secure-grip rubberized handle and take it on the go. 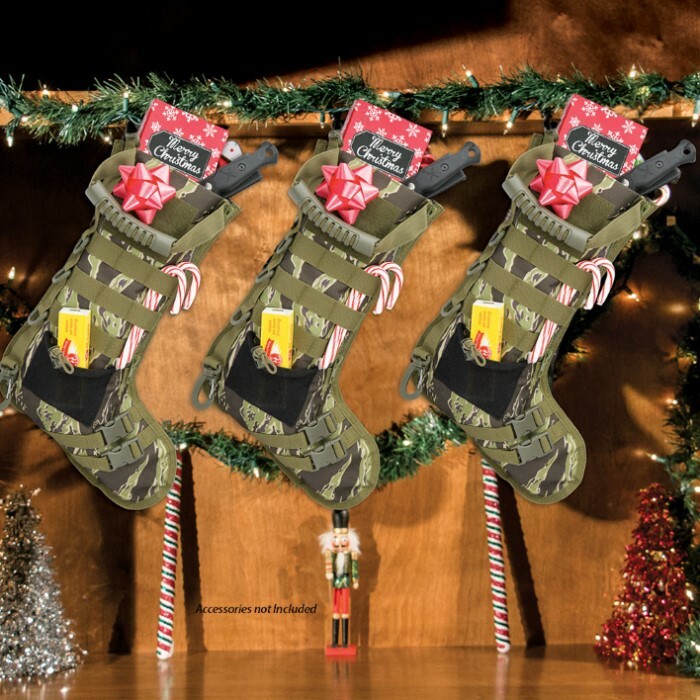 Attach all of your Christmas needs to the MOLLE webbing and convenient D-rings. A heavy-duty metal zipper on the side gives you easy access to your Christmas goodies. 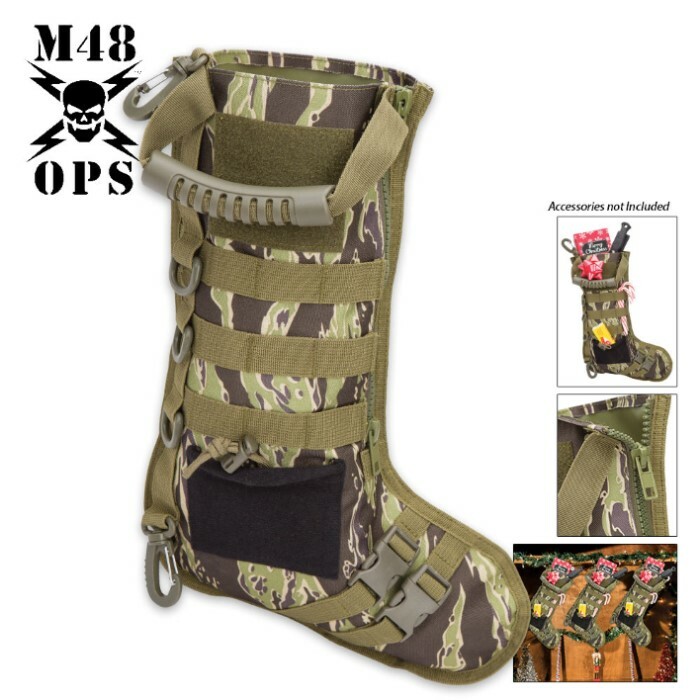 This stocking is 17" in length.